This site is not going to tell you how to make money - However, we have gathered great finance and money related quotes here for your pleasure and hope you enjoy them. Just click "Refresh" or Reload your browser to see a new Money Quote and a new Pike Financial Cartoon below it! If you'd like a daily money quotation for your desktop or your blog, read them on our Daily Money Quotations Blog Don't forget to follow us on Twitter and on FaceBook. While you are here, $pend some time with our daily Quotes or spin through our collection by visiting the Money Quote Carousel - or simply reload this page and view the quote collection above. Visit the Financial Cartoon page for full slideshow of Pike Cartoons. Find Money Quotes Here: Search Money Quotations from the Rich, Powerful & Famous - Politicians, Comedians, Bankers, Investors and Celebrities have said some outrageous, sometimes hilarious or clueless things about money. You can even see biblical money quotes by searching at right (Quote Search). Do you love hearing what has been said about money? Here are funny money quotes by smart, well known and (usually very well-off) politicians, celebrities, writers, philosophers, comedians, CEO's, investors, philanthopists and billionaires and sometimes bible money quotes. It's time to lighten up on the subject a little and we offer money jokes, money cartoons, funny money quotations to bring out the lighter side of the hushed and hallowed halls of financialdom. Finally - everyone is interested in who has the most money and how they compare to the rest of us. Here is the ultimate comparison list. You can learn how many billionaires are bald, how many are women (none in the bald list), their level of education, how many are married and where they live. Get all the details on the richest people in the world here. 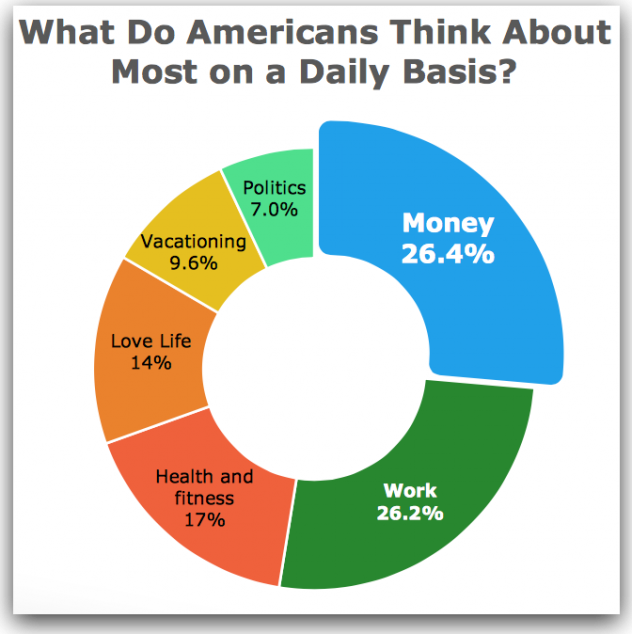 Happiness – Does Money Make You Happy?